This week I have been surprised by the news coming out of England. On Monday, the country celebrated the brand new life of a royal baby(they named the baby Louis, I am baffled! So French!). Yet, on that very same day, the British government ascertained it’s control over it’s British subjects by denying another–unroyal–baby the right to live. Or at the very least, fight for life. You can imagine how ashamed I was when I heard the news that a boy, the same age as my own daughter, was being denied the medical care that his parents wanted for him, all in the name of politics. How can politics even be involved in a child’s right to medical attention? What kind of a world are we living in? There are so many tangents I want to run down here. I could go so many places with the so many thoughts running through my head. I think I am going to expostulate, because if I don’t get them out of here, I swear my brain will explode, but I warn you, it might not flow. And it might not be elegant, in fact, quite the opposite, a bit prosey, if you will. While this list is admittedly short, there are some politically rife topics involved. Things could get dirty. Let’s just dive right in. The case of Alfie Evans is not the first time a government has gotten involved in the lives of it’s citizens. Nor will it be the last. Throughout time, leaders of civilizations have made decisions that have affected the lives of many, whether to suit the good of the whole, or just to appease their own personal conscience. History is rife with examples that have fared well, and ones that have gone drastically wrong. Well, I will. Because there is one example that hits very close to home–my home. 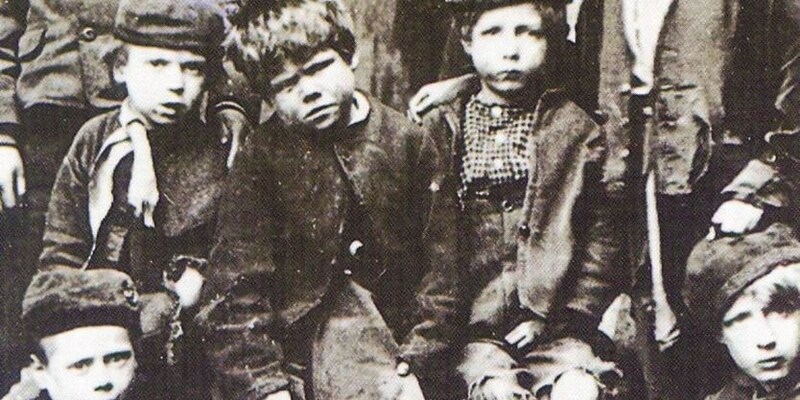 In 1869, the British government had the great idea that shipping indigent children off to the various colonies of the commonwealth would be rather beneficial to these young waifs. Perhaps, but the government didn’t bother to ask for permission from families or care-takers, the children were just taken. To be fair, there was a fair amount of back and forth about the merits of such a scheme, but in the end, over 100, 000 children were sent abroad with nothing but the clothes on their back. My great grandmother was such a girl. When Lilian was no more than 8 years old, she was taken from her mother Jessie, a washer woman, and placed on a ship bound for Canada. In fact, her mother was not even told she was going to be taken. Lilian told tale of a brother that was sent away with her, but was dragged away from her at the docks. Of course, Lilian never saw her mother, or brother, again. It’s all there. You can find her name on the ship manifest, the ship that brought her to Canada. The ship that landed her in Halifax Harbor. The ship that brought her to her new life. Maybe she wasn’t the daughter of a poor washer woman anymore, but that is only because she had now become the washer woman. Records show that Lilian was shipped from home to home, and lived the life of an indentured servant. That is a pretty way of saying paid slave. One entry recorded by a dutiful agent reveals that Lilian was a child that did not like to work, that had to be scolded and redirected constantly. When I read these words, my heart utterly shatters. What child would want to do what she had to do, to become what she had to become? Just because the government thought it was best for her? I ask you, what child? Yes, I have my children do chores. But…they have the assurance that their slave driver loves them beyond any shadow of a doubt. Should the government get to decide what a child does? I want to note here that Lilian May Rowberry Cooper has passed on. But her scars remain. They have become embedded in her children, and their children, and in their children. Yes, as the saying goes, time heals all wounds, but it does not take away understanding. Some members of my extended family have spent years trying to piece together the “who, what, when, where, why, and how” of Lilian’s and Jessie’s life. Some answers have been found, as well as family connections reestablished. But there will always be that ache of lost family ties. And the underlying horror that nothing is sacred, not even family, when the government chooses to get involved. I grew up in Canada. I enjoyed socialized health care as a child. Well, to be honest, I had no clue what it even meant, just that I had an Alberta Health Care number assigned to me, and that if I should get into any accidents, I should memorize the number to give to the staff at any of the provincial hospitals. Yes, as I type this, I realize I had been reduced to a number. Hmmmm. Okay, I give, it’s similar here in the States. But with one glaring difference. At the end of the day, if I need my brain tumor removed, no one gets to tell me to wait in line. Sure, I will have to pay for my surgery, but the surgery–I will have it! That’s not always the case in Canada. And, I guess, after reading the news, Britain. See, I’m not just making this up. My relatives still in Canada, they have to wait. My aunt had to wait months for her brain tumor to be operated on. My Uncle had a similar experience with cancer. Their stories aren’t the only ones. You don’t decide if and when you get health care, someone else decides for you. That’s how it is in a country that runs things. It’s part of the Constitution because the men that wrote it understood that in England, not just anyone could use a gun. It was illegal for anyone that did not own land to use a gun. 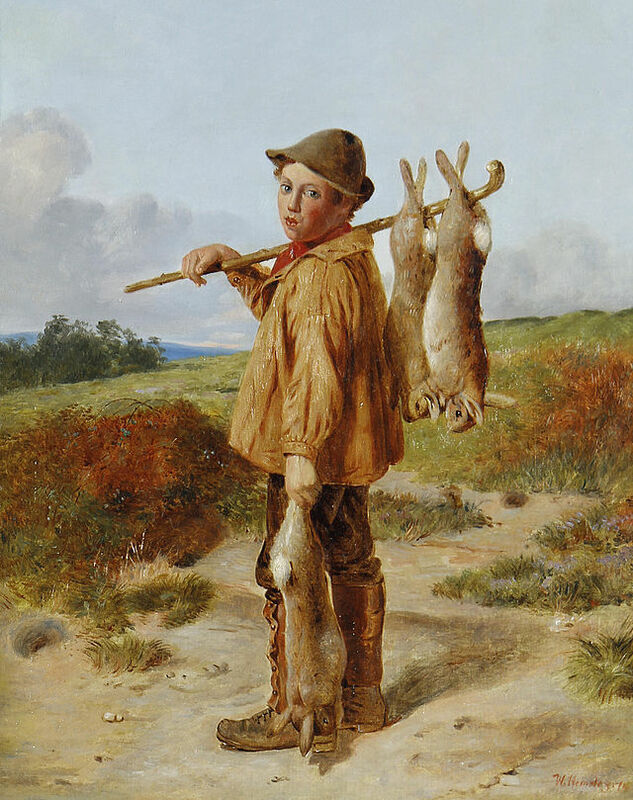 You could be hanged for using a gun or hunting if you were not a member of a certain social class. There are implications here. Not everyone is held equal. And just who get’s to decide what side anybody is on? Well, the answer is definitely not you! Somebody else will decide for you what is best for you. That is what socialism means. I find it so intriguing that, in a world that argues for the death of unborn babies, we find ourselves arguing for the life of brain dead babies. From all the reading I could find, and after scrolling through numerous Facebook comments, yes, it is true, Alfie Evans has brain damage. That means that, if he survives, his future will remain uncertain. But, look at the fight people around the world are putting up for someone with so uncertain a future! And yet, at the same time, with the same vehemence, people around the world are fighting for the right to terminate unborn children. There is a major disconnect here. What is wrong with the unborn children that puts their future into jeopardy? Yes, you can argue that they may live out their lives in homes that are unfit, with parents who are not ready for them. But, I argue, look at the hundreds of thousands of couples who are dying to adopt any child at all! What is nine months to a lifetime of…well…nothing? That’s where my brain stops computing. We argue against those that are unborn as if their very future threatens ours. Yet, we argue for those who’s very future is uncertain. If you ask me for my opinion on Alfie Evans, I will tell you this–I have a daughter that is roughly the same age. There is no way in God’s green earth that I would allow the government to determine when her life should end. And, as I have had the opportunity to watch her learn and grow like a firecracker these past 18 months, I realize that time is nothing compared to the miracle of childbirth and growth that she has given to me. Has my life been put on hold? But what am I waiting for anyway? The argument for abortion is about a woman’s right to choose what she does with her own body. I will grant you that. The right to choose is important. I will stake my very soul on free agency. But there is so much more to the freedom of choice than what society wants us to believe. With action comes consequence, good and bad. We are living in a world that wants to remove consequence from the equation. You can never hide from consequence. It will find you. Abortion is not a cleaning of the slate. It cannot erase a consequence. The only solution to a rising birth rate is knowledge. Knowledge that one plus one equals two. Knowledge that abstinence isn’t always the worst of the two choices. Knowledge that you can make responsible decisions by preparing in advance. People always tell me that I must not know how babies are made yet because I have four kids. I jokingly reply that I only ever wanted four kids. And in all seriousness, I only ever tried for four children. But my husband and I had a lot of fun practicing, fully aware of the consequences if we did not plan ahead. I’m not one to judge. You make your choices, and I’ll make mine. You will make your’s based on your belief system, and I will make mine informed by mine. But neither of us will get to choose the outcome. But you know what you can choose? And that is something that both sides should fight for. I read the news. I try not to, but there’s no getting away from it. It is everywhere. I see a society that is trending downward in an attempt to remove themselves from reality. I see a society that wants to choose until there are no choices left to make. I see a society that hides from responsibility, and wants to pass it off to someone else. When I was in France last summer, my son and I wandered down the Champs Elysee until we made it to the Arc de Triomphe. What a wonder. It can be seen from all directions, and it rises from the ground strong and proud, a glorious reminder of choice and consequence. In it’s storied past, it has seen Emperors and despots, war heroes and everyday peoples walk beneath it’s soaring vault. But, I am afraid, not many know it’s story. It began with Napoleon, Emperor Napoleon–a man dead set on controlling all of Europe. Commissioned at the peak of his fortune, the Arc de Triomphe was to be a symbol of his choice to rule all of Europe. But Napoleon couldn’t choose his consequences. During WWII, Hitler claimed the landmark for himself, and festooned it in Nazi Germany red. He organized a propaganda parade that took him right through the very center of the Arc de Triomphe as a symbol of his power over France, and of Europe. But Hitler couldn’t choose his consequences. Those wily French, British, and Americans. Before the war ended, but after France was liberated, the great Charles de Gualle, France’s own war hero, marched beneath the Arc, yet again symbolizing the triumph of choices and consequences. This time the Nazi flags were replaced by the French Tricolor. Today, everyone is welcome to walk inside, on top of, and underneath this great monument to choices and consequences. It is a great reminder, if you allow it to be, of how individuals can allow their free agency to slip through their fingers if they don’t guard it well. Cherish your right to choose. Don’t give it up in favor of an easier here and now, because the future might hold consequences that are too difficult to bear. The case of Alfie Evens is proof of that. The case of Lilian Rowberry is proof of that. The case of Socialized anything is proof of that. The case of abortion is proof of that (maybe not proved on social media, but at some point in the future). Fight for knowledge. Study history. And don’t repeat it. Take charge of your future instead. Well, I live in Alberta and have had cancer twice. I did not have to wait for treatment either time. I also did not pay for treatment or medicine. I am grateful for our AHCP. Is it perfect? No. If I wish to go to another country for medical treatment I am free to do so.